AFTER 120 YEARS OF REACHING OUT FAITHFULLY to the people at Telok Ayer and beyond, Telok Ayer Chinese Methodist Church (TACMC) is still called to be a blessing to others. Indeed, that call, the church’s celebration theme, kept recurring throughout its 120th Anniversary celebrations at TA2 in Wishart Road on Aug 2, 2009 – from the Combined Holy Communion Service in the morning to the High Tea, to the sealing of a time capsule, to the 120th Anniversary Thanksgiving Service and the dinner that followed at the nearby Dragon Gate Restaurant in Harbour Front Centre. At a simple, short ceremony near the church’s main gate to seal the time capsule, the Rev See Ping Eik, Pastor-in-Charge of TACMC, read from Ecclesciastes chapter 3 verses 1 and 15 and said that those who were still around 50 years from now, when the capsule was being opened, would remember the things that were put inside to remind them of God’s goodness. Among the many items kept were Bibles, hymnals in English, Chinese and Hokkien, and church publications and records. In closing, Bishop Dr Robert Solomon prayed to God to “bless your people as they remember your goodness and faithfulness”. There was joy all round, and the people started to stream into the cool sanctuary to await the start of the Thanksgiving Service. Promptly at 4.30 pm, the service – conducted in Mandarin, Hokkien and English – began as the Praise Choristers rendered the introit, “Rejoice, Ye Pure In Heart”. From the processional hymn to the hymn of dedication, the entire service was enhanced by the lovely voices of the various choirs and accompanying music. 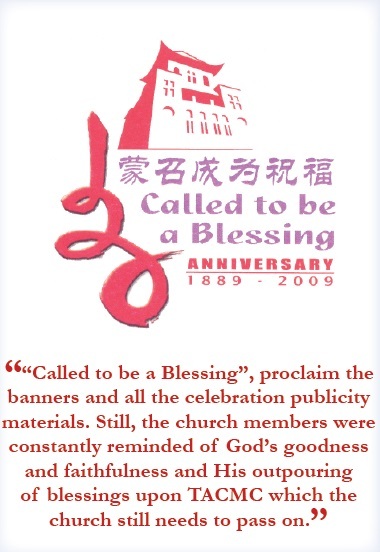 A hymn, “Called To Be A Blessing”, was specially composed for the occasion. It was sung by the congregation and later rendered as an item by the Hokkien Choir. 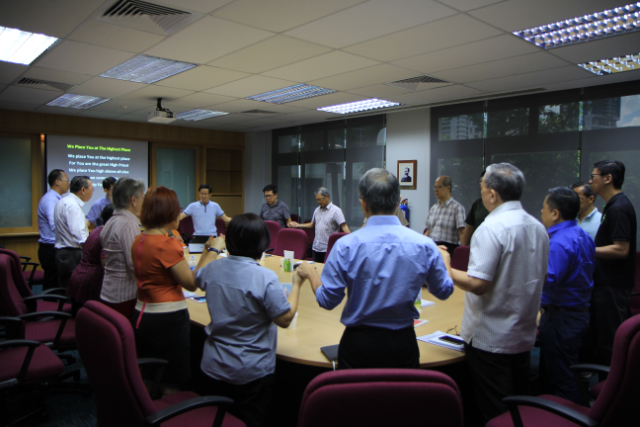 The words of the hymn were written by Ms Esther Lee with the English translation by Mr Siew Yee Kit. The music was composed by Dr Emilia Wong. Many people’s lives had been changed by “Telok Ayer evangelists”, he said. 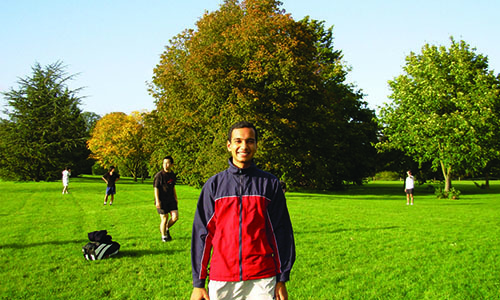 He believed that “that kind of evangelistic spirit and fervour is still present in TACMC”. The Church begins with preaching, he reminded the congregation, and it is a privilege to have the Word, which is God’s revelation. The Bishop then turned to his third point – Eucharist, which he described as a family meal. The Lord’s Table is very important to us as Christians, he said. “It gives sustenance and heals and strengthens. Wesley saw this as both medicine and food for our souls. Don’t underestimate the power of God through the sacraments. The day’s celebration ended with a dinner which saw the restaurant packed to the brim with 106 tables of diners. More church members had wanted to attend but had to be turned away. Again, those present were reminded of God’s blessing and they responded joyfully with songs of praise, a harmonica item, skits, a fan dance and a recitation of Bible verses by senior members. 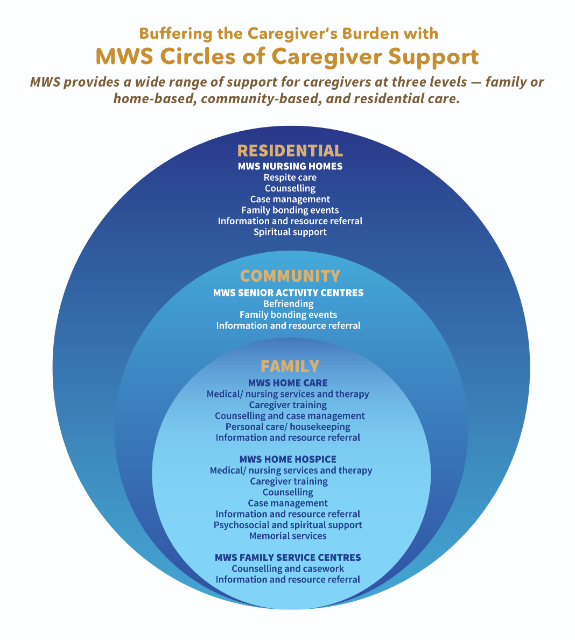 Those members who have served TACMC faithfully for many years were not forgotten. They were presented with tokens of appreciation. 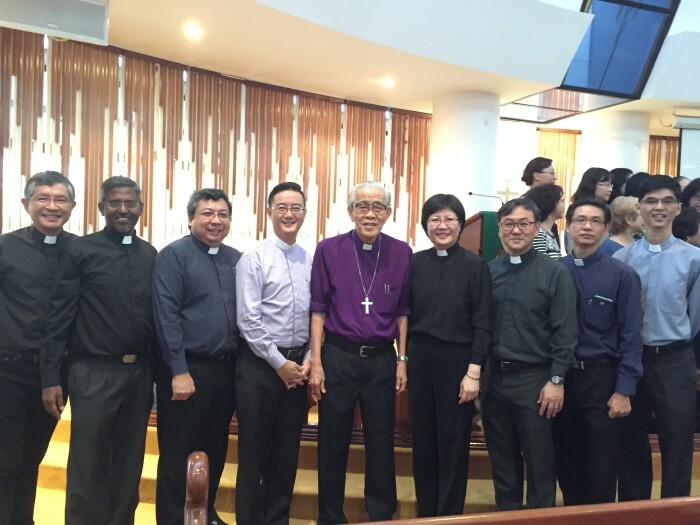 The Rev Chng Siew Sin, who retired recently as the Associate Pastor, was also presented with a token of appreciation from Bishop Emeritus Wong Kiam au. The Rev Chng had served the Chinese Annual Conference for 30 years, 16 of which at TACMC, the church where he grew up in. 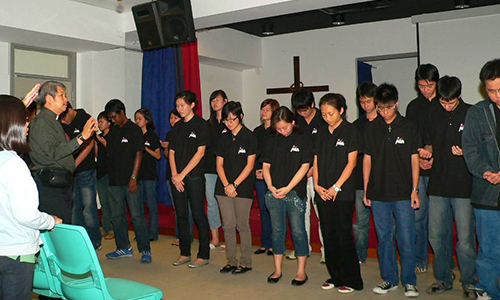 He had served as Pastor-in-Charge of Toa Payoh Chinese Methodist Church and later of Bukit Panjang Methodist Church. He had also served as a volunteer in the prison ministry for 25 years, and received an award from the Singapore Prison Service for his services. Peter Teo is the Editor of Methodist Message. Chng Siew Khoon is the Vice-Chairman of the Missions Committee of Telok Ayer Chinese Methodist Church.